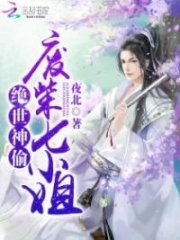 Read novel online » God Of Slaughter » Chapter 1117: Hold Hostage! God Of Slaughter Chapter 1117: Hold Hostage! Under the given circ.u.mstance, Phelps' consciousness was chaotic. 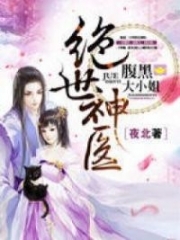 His sensibility was weakened and he couldn't use all of his powers.
. . . After they knew Phelps's ident.i.ty, Cecilia and Shang Ying Yue had made up their mind: they would rather die together than let themselves fall into Phelps's hand. At the same time, a narrow s.p.a.ce slit emerged behind Phelps. A shadow walked out like he had just torn a sheet of fabric. His hands held two white Bone Thorns stabbing into Phelps's back. An energy barrier that could confine people s.n.a.t.c.hed over Shi Yan. Shi Yan felt as if his entire body was tied down. His actions became stagnant. A flow of energy that could seal the soul flooded and generated in his soul altar. A strange, ma.s.sive lotus appeared in Shi Yan's Sea of Consciousness. That lotus was so big it had occupied all the room in his Sea of Consciousness, which make his Soul Consciousness ineffective. A white bone thorn, which had disappeared before, stabbed Phelps in his stomach. Half of it was jutting out of his waist. The bone thorn had broken his blood vein. Blood streamed out from his stomach and waist. Phelps held the thorn with both hands, his face twisted in pain as if someone was p.r.i.c.king his flesh one piece after another. The six warriors of the Ascot family became wild, urging their energy to the acme. They attempted to deliver Shi Yan to h.e.l.l in one breath. They wanted to kill him in one second. Spot was Sloan's son and Watt's cousin. He was also an outstanding warrior of the Ascot and was a prominent member. However, only the key members of the Ascot family knew about his death. The other families of the G.o.d Clan didn't know this information. 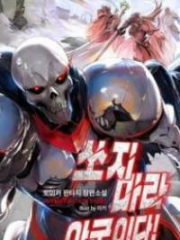 God Of Slaughter Chapter 1116: Break The Barrier! God Of Slaughter Chapter 1118: What Does It Matter To Me? You're Read God Of Slaughter Chapter 1117: Hold Hostage! online at NovelOnlineFull.com. You can use the follow function to bookmark your favorite novel ( Only for registered users ). If you find any errors ( can't read,broken links, can't load photos, etc.. ), Please let us know so we can fix it as soon as possible. And when you start a conversation or debate about a certain topic with other people, please do not offend them just because you don't like their opinions. You're reading God Of Slaughter. This manga has been translated by Updating. Author(s): Ni Cang Tian,逆蒼天. Already has 1202 views. Current Time is 19-Apr-2019 12:54:21 PM.